A Sumatran Orangutan has given birth at the St. Louis Zoo. Its the second in the US this year, a boon for the critically endangered species. TGNR congratulates mother Meerah and father Cinta on the birth of a female baby this Sunday at the St. Louis Zoo. To our knowledge, this marks the second Sumatran orangutan born in the United States this year, a great boon for the critically endangered species. Meerah is 46 years of age and an “excellent and experienced mother” according to Stephanie Braccini, Ph.D., St. Louis Zoo Zoological Manager, Great Apes . She is taking full care of her young one, nursing her and carrying her close. 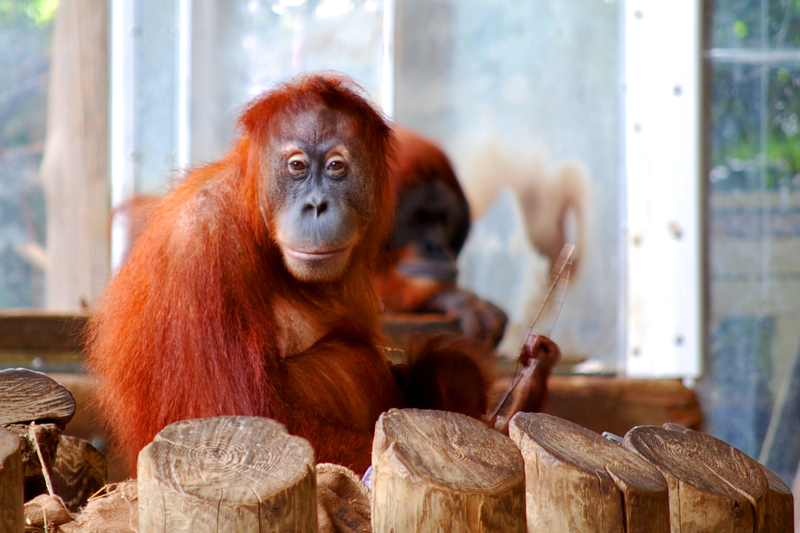 After the first 30 days, the most critical period following birth, they will rejoin the zoo’s orangutan population. Mother Meerah cuddling her newborn. Read more about Meerah, Cinta, and their new born at the St. Louis Zoo website and the St. Louis Post-Dispatch.